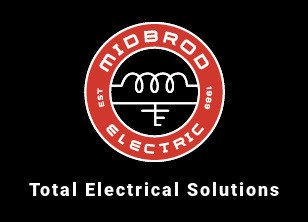 At Midbrod Electric, we pride ourselves on being consistently available for our customers. There is always a crew on call, ready to solve your problems. With a fleet of Boom trucks and service vans as well as many portable generators and 6000 square feet of warehouse space always stocked with material, we can handle any situation. Anytime. Day or night. Contact us now to experience our service. It’s electric.